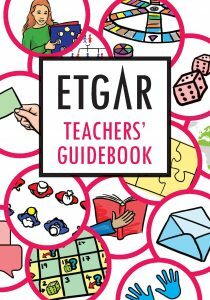 The Etgar Teachers’ Guidebook has been created by teachers for teachers. It contains ideas that have been tested in the classroom and found to work again and again. The ideas in the book can be applied to many different aspects of the Etgar curriculum. We have also included a section on digital tools which contains the favourite apps and websites of teachers. If you are not yet comfortable with digital tools, we hope this section will inspire you to try one of them out. We welcome your feedback, please let us know what you think of the Guidebook by emailing us info@etgar.co.uk. Download the Teachers’ Guidebook as a printable PDF.